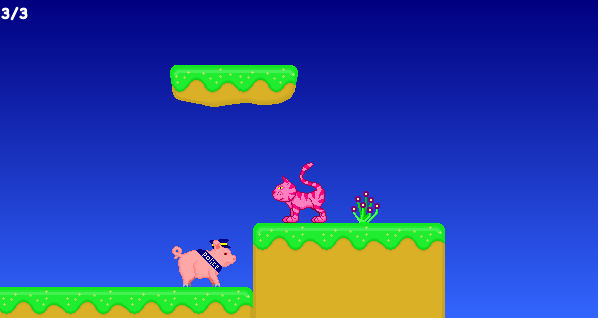 A primitive test level from Catroidvania: Communist Space Cats of Venus. The tiles and sprites are from the actual game, but the real levels will look quite different (as will the interface, barely present here). But yeah, this is happening. And I like it.